I found this over at Project Home Economics (LOVE it there!!!). It is from an old Betty Crocker cookbook. Oh, how I agree with all of these statements!! 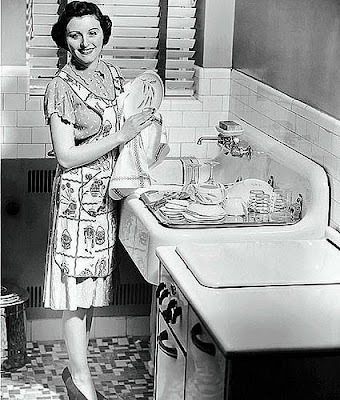 I believe homemaking is a noble and challenging career. I believe homemaking is an art requiring many different skills. I believe homemaking requires the best of my efforts, my abilities and my thinking. I believe home reflects the spirit of the homemaker. I believe home should be a place of peace, joy and contentment. I believe no task is too humble that contributes to the cleanliness, the order, the health, the well being of the household. I believe a homemaker must be true to the highest ideals of love, loyalty, service and religion. I believe home must be an influence for good in the neighborhood, the community, the country. Well said Betty Crocker, thos are so true! Let's hear it for the homemaker!!! Great creed! Wonder what they would say if they had a creed in today's cookbook? Homemake wanna-be here!!! Love it!!! Love it! Wouldn't this be great as cute wall art!?!?! Thank you so much from Charles, Marcus and I for sharing your grocery shopping tips. I just posted a highlight of several of the responses that I received. Just wanted you to know that I provided a link back to your blog. I have several friends in the same boat as us ~ asking questions and have referred them. When I was first married I got a Betty Crocker cookbook. I'm now on my third BC cookbook. When Marcus heads out I'll make sure he has the latest copy! What great encouraging words for Homemakers today! I think Grandmother had this somewhere. If I can locate it, I think you should have it. I had to smile, did they pattern that after the apostles creed? Love it!!! Thanks for the post! Thanks for the link. I'm now a follower of the Home Economics.